JournoList was an email group of up to 400 prominent U.S. journalists, academics and "new media" activists, who reportedly colluded in the run up to the 2008, to influence public opinion in favor of the Barack Obama and the Democrats and against their Republican opponents. Many "JournoListas" were involved with Marxist based based organizations such as Democratic Socialists of America, or the far left Institute for Policy Studies. Some, like Robert Kuttner of The American Prospect, had close ties to the Obama campaign and Administration. An overlapping group of "JournoListas" , at least eight strong were centered on another organization, which has close ties to the three highly influential power centers - financier and "change agent" George Soros' , internet giant Google and DC based non profit Free Press - accused by its opponents of aiding Obama Administration attempts to censor and manipulate information on the internet. The organization in question, the Washington DC based New America Foundation has close ties to the Obama Administration, stretching back to Obama's alma mater Occidental College in the early 1980s. While claiming to be non - partisan, New America clearly leans left. This is "progressive" code for domestic socialism, paid for out of a decreased defense budget. Frida Berrigan, is Senior Program Associate of the Arms and Security Initiative at the New America Foundation. In 2007 Berrigan represented the socialist dominated War Resisters League on the Steering Committee of the communist dominated United for Peace and Justice. In 2009 Frida Berrigan was a Contributing Editor and a member of the Editorial Board of Chicago based socialist journal In These Times, where she served alongside former Weather Underground terrorists and Obama associates Bill Ayers and Bernardine Dohrn, Sid Hollander of Democratic Socialists of America and David Moberg a veteran of the Gramsci/Marxist New American Movement and the 1976 Weather Underground organized National Hard Times Conference. Parag Khanna, Senior Research Fellow, American Strategy Program and Director, Global Governance Initiative, at New America, provided "expert" foreign policy advice and opinion to Barack Obama's Presidential campaign. Khanna also spoke at the Change the World conference, hosted by Britain's socialist Fabian Society on January 19, 2008. Michael A. Cohen - Former Co-Director, Privatization of Foreign Policy Initiativ, N.A.F. Cohen's work has appeared in the Washington Post, Christian Science Monitor, the St. Petersburg Times, the World Policy Journal, the New York Times, Foreign Policy, the New York Daily News, Forbes.com, Courier de la Planete, Talkingpointsmemo.com, Politico, Worth Magazine and he is a frequent blogger at www.democracyarsenal.org. During the 2008 U.S. presidential campaign he was a regular contributor to the New York Times Campaign Stops blog. He has also been featured on ABC News, Fox News, BBC TV and radio, South African television, Al Jazeera, Air America and XM Radio's Potus '08. Daniel Levy -Senior Research Fellow, American Strategy Program and Co-Director, Middle East Task Force N.A.F.During the Barak Government of 1999-2001, Levy worked in the Israeli Prime Minister's Office as special adviser and head of Jerusalem Affairs, following which Mr. Levy worked as senior policy adviser to then Israeli Minister of Justice, Yossi Beilin. In this capacity he was responsible for coordinating policy on various issues including peace negotiations, civil and human rights, and the Palestinian minority in Israel.He is a Founder of the Democratic Socialists of America influenced JStreet organization. Sara Mead - Senior Research Fellow, Education Policy Program and Workforce and Family Program, N.A.F. Steven Teles -Schwartz Fellow N.A.F., writer for The American Prospect. Associate Professor of Political Science at Johns Hopkins University. He is currently writing a book on how politics affects policymaking. Another New American Foundation Schwartz fellow is Tim Wu, a professor at Columbia Law School and the chairman of Free Press. He is the co-author of Who Controls the Internet?. Free Press was founded in by open Marxist Robert W. McChesney. Free Press, which has the ear of the Obama Administration, is responsible for a report written by McChesney and Democratic Socialists of America associate and "Free Presser" John Nichols - entitled "National Journalism Strategy" which calls for “massive public intervention” into the news business. 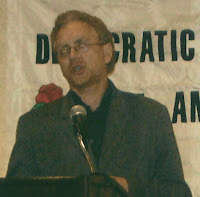 At Chicago D.S.A's 2006 awards dinner, John Nichols of The Nation, spoke to the "need to go beyond taking back our country, beyond things just not getting worse, and the need for a progressive agenda". Schmidt is a member of President Obama's Council of Advisors on Science and Technology. There is another, more obscure Obama/Google connection. A couple of years ago Google appointed Dr. John Lumpkin to its Health Advisory Council. John Lumpkin came from a well known Chicago Communist Party family. When John Lumpkin unsuccessfully stood for Alderman in Chicago's 7th Ward in 1979, the "Committee to Elect Dr. John R. Lumpkin" was led by several Communist Party members, as well as activists Timuel Black and Quentin Young. Black and Young both went on to join Democratic Socialists of America. Both also became personal friends, mentors and political supporters of Barack Obama. Quentin Young was Obama's personal physician at one stage and attended the famous meeting where Obama's political career was launched in the home of Bill Ayers and Bernardine Dohrn. 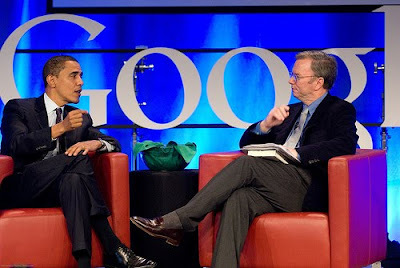 Serving with Eric Schmidt on the N.A.F. Leadership Council is Jonathan Soros, President & Co-Deputy Chairman, Soros Fund Management, LLC. Jonathan Soros serves on the board of directors of his father's Open Society Institute. Before graduate school, Johnathan Soros was a program manager at O.S.I. in Budapest. He also served as a staff member on the Clinton/Gore ’92 campaign and inaugural committees. The Open Society Institute funded the New America Foundation to the tune of at least $250,000 in 2008. 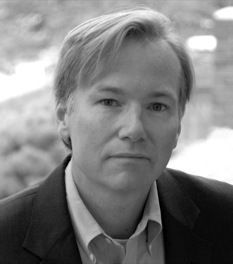 President and CEO of the New America Foundation is Steve Coll. It turns out the Steve Coll and his wife Susan Keselenko Coll were pretty good friends of Barack Obama back at Occidental College in the 1980s. In February 2008, in response to accusations that Obama had used drugs while a student , journalist and blogger at The Washington Note Steve Clemons , interviewed Steve and Susan Coll about Obama's drug use at the time - without mentioning his connection to Steve Coll. A separate couple I found on my own and who knew Barack Obama at Occidental College are New America Foundation President and New Yorker staff writer Steve Coll and his wife Susan. I asked Coll what the depth of his and his wife's relationship with Obama was -- and whether he'd seen the presidential aspirant get "wild." Coll told me that he was two years ahead of Barack -- and his wife one year ahead -- and that they were all pretty good friends. They are friends now, but at a more pronounced distance and don't see each other much. Coll recounted that he and Susan were impressed with Obama then and saw absolutely nothing on the drug front with him -- though he can't say the same about a lot of his other Oxy pals. He said that his one wild thing that got him a lot of accolades was his hard lobbying to get the trustees to divest Occidental College holdings from South Africa, which they did. Steve Clemons is the Senior Fellow and Director of the American Strategy Program at the New America Foundation Could he be one of the more than 200 as yet unidentified "JournoListas"? Clemons is also contributor to the website Havana Notes, which is dedicated to easing U.S. government sanctions against Cuba, alongside one time Democratic Socialists of America member Patrick Doherty, Anya Landau French , (both also of the New America Foundation) and long time pro Cuban propagandist Gail Reed. Had Clemons delved a little deeper he might have found that Steve and Susan Coll hung around with leftists like Caroline Boss and Rick Cole at Occidental. Many of their friends were involved with Occidental's "Democratic Socialist Alliance", which in turn had ties with the radical New American Movement and the Democratic Socialist Organizing Committee - which amalgamated to form Democratic Socialists of America in 1982. Susan Keselenko took classes with Barack Obama from Prof. Roger Boesche who is also a socialist, a proponent of the radical philosopher John Rawls. 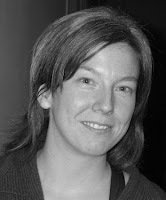 Today Susan Coll is a writer, the author of novels "Rockville Pike" and "KarlMarx.com". It seems that the concept of leftist journalists and writers covering their friends is not confined to confirmed "Journolistas". The "JournoListas" who helped Barack Obama into the White House are not unique. They are merely part of a movement to promote a promising young leftist that may have begun more than thirty years ago. Without sympathetic socialist journalists, it is unlikely that Barack Obama would be President of the United States today. Susan Keselenko Coll was the roommate of Lisa Jack, the photographer/banker/psychologist who happened to photograph Barry (no surname given) at Occidental, but who also held back the photos until after the election. Now, she says, he "owes" her.